We are located in Edgar County, IL, but we have a Clark County address. Most GPS devices do not work. 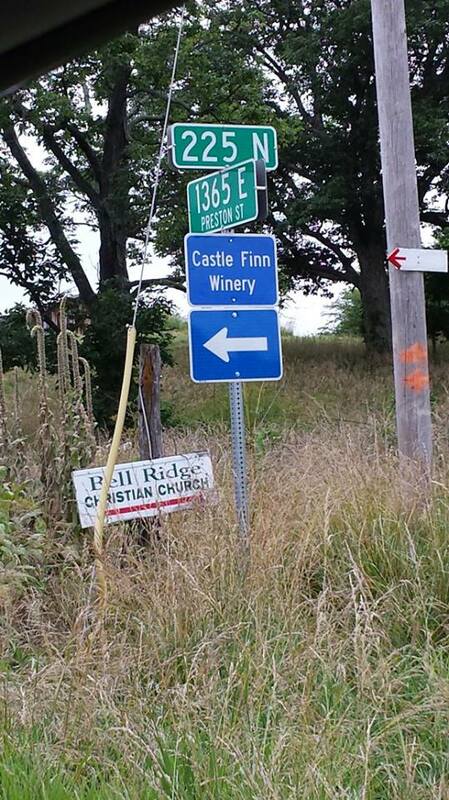 Please call us for directions if you need them. The directions below are where Interstate 70 and Route 1 intersect. Then below that are from Charleston, IL. Directions from I-70 in Marshall. Head North on Route 1,(watch for Blue State Sign) in approx. 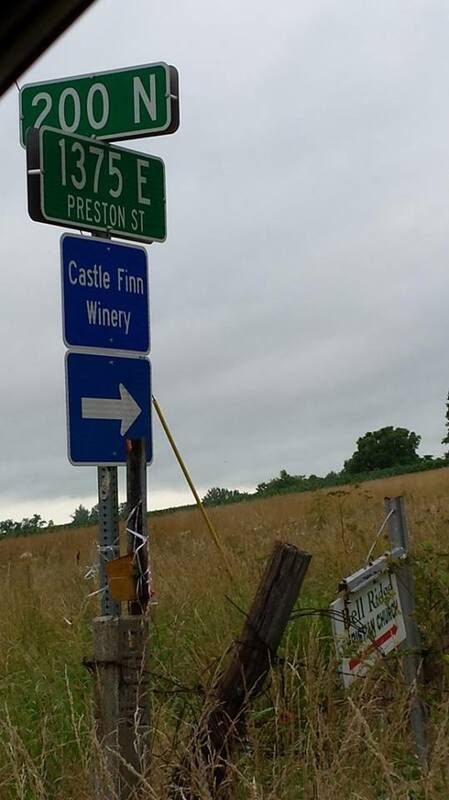 5.5 miles turn left (West) on 200N (Bell Ridge Road), follow this black top road, the road will curve right (1375 E/Preston Rd) (Picture below), will curve back left (225N) (Picture below). 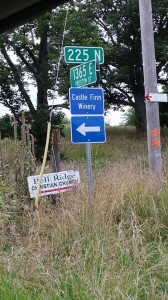 Follow 225N until you come to 1200 E, and turn left (South), Winery will be on your left approx 1 mile. Head East on IL-16 for approximately 20 miles. Turn right on N 925th for about 4.4 miles, turn left on E 250th road for 1.3 miles, turn right on E 225th road for 1.6 miles, turn right on 1200E, and we are .9 of a mile on the left.